In contrast, Small business ERP applications are lightweight business management software solutions, often customized for a specific business industry or vertical. 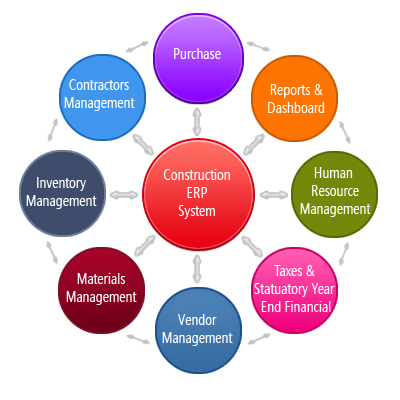 ERP software is one of the leading Online ERP Software in India. ERP software covers the entire process involved in a manufacturing setup. The best part about ERP software solutions is its robust technology, user friendly interface, loads of features yet affordable. ERP can integrate business operations like Assembling, Scheduling, Orders, Production, Income, Expenses, Billing, Accounting, Sales, Purchase and Stock Management. ERP software is very much suitable for a small manufacturing business because of its features, pricing, after sales support and training abilities. Reach is easy to learn and operate and you might probably be able to get started much quickly with our ERP. We also do the implementation of ERP at no extra charges. We also support customers through online and live chat for product related queries.Any small manufacturing business investing in an Online ERP Software like ours can increase their production efficiencies; reduce the time taken by the Customers to pay, Avoid pilferage of Inventory and help you get the necessary data to make decisions quickly. Investing in the right software will increase your profitability and your ability to increase your production capacity phenomenally.